Fran Purvis knows first-hand that the best way to learn how to pray is to do it. It’s a lesson she learned during her time at Ontario Pioneer Camp, and it’s one that she and fellow Inter-Varsity staff at the University of Regina have been trying to put into practice. “The past few years we’ve be praying that we would become men and women of prayer,” says Fran. If that statement sounds self-fulfilling, it’s because Fran knows that prayer is a practice that demands participation. You can’t learn to pray by reading a book or being taught about it, in the same way you can’t get in shape by reading about exercising or watching someone run a marathon. 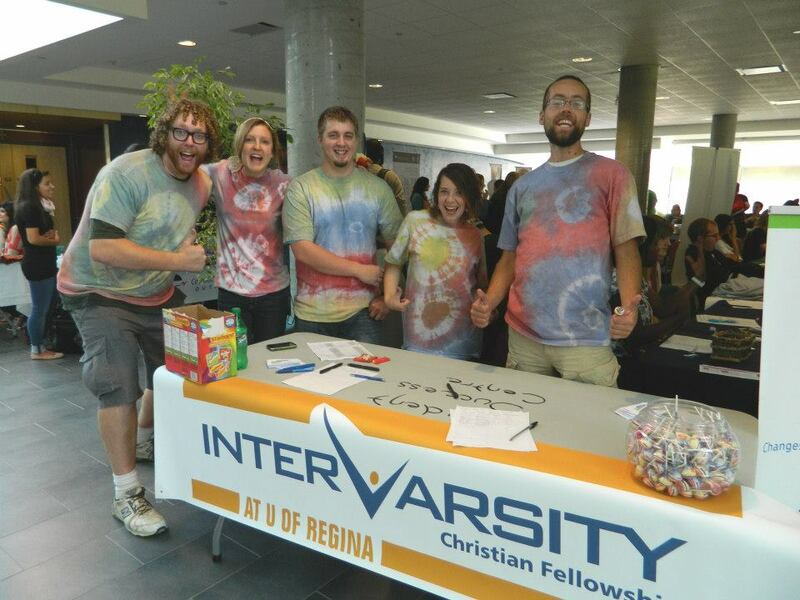 Last year, Fran noticed the practice of prayer was lacking in her campus community at the University of Regina where she is the team leader for Inter-Varsity’s Undergraduate Student Ministry. In response, Fran decided to host a 24-hour day of prayer for her Inter-Varsity group on October 17th, joining thousands of others participating in the International Fellowship of Evangelical Students’ World Student Day of Prayer. The day of prayer was hosted at a nearby home known as The H.O.G. (or, “House of Guys”), a student house near campus that is home to six Inter-Varsity members. They turned a room in the basement into what Fran calls a classroom for prayer and focused most of their prayer specifically on international issues. They hung a world map on the wall alongside profiles of different global communities and set aside time to pray for issues like the Ebola outbreak and conflicts in the Middle East and Ukraine. The 24 hours of dedicated prayer helped raise awareness of world issues, but it also created a hunger for even more prayer among the group. In response to this hunger, they recently hosted another full day of prayer January 29-30th, this time focusing more on their own campus and their desire to share the Gospel. “This time around, we spent a lot of time praying for the university, taking time to pray for each faculty,” Miranda, a third-year Education student says. Being a Christian on a secular campus comes with obvious challenges, where faith is often disregarded or minimalized. “We prayed for wisdom to know how to stand up for our beliefs, and to be able to do it graciously,” says Miranda. Following the two 24-hour days of prayer, Fran and fellow Campus Minister Kyle Mclean started a daily half-hour of prayer on campus. They hope prayer will become more and more a part of everyday ministry. Fran is already seeing a shift.